Each year, it always feels like spring creeps up unexpectedly. Blooms explode, and both trees and humans eagerly shake off their winter coats. 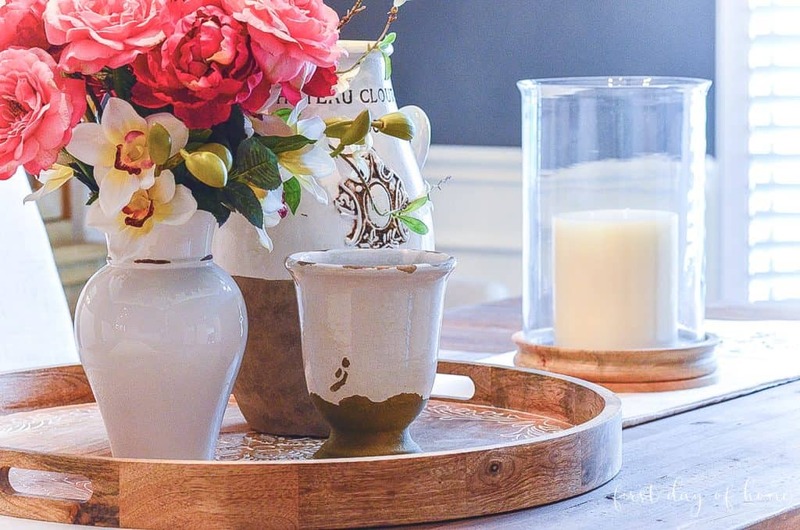 To help you embrace the season, I’ve compiled my favorite simple spring decorating ideas. 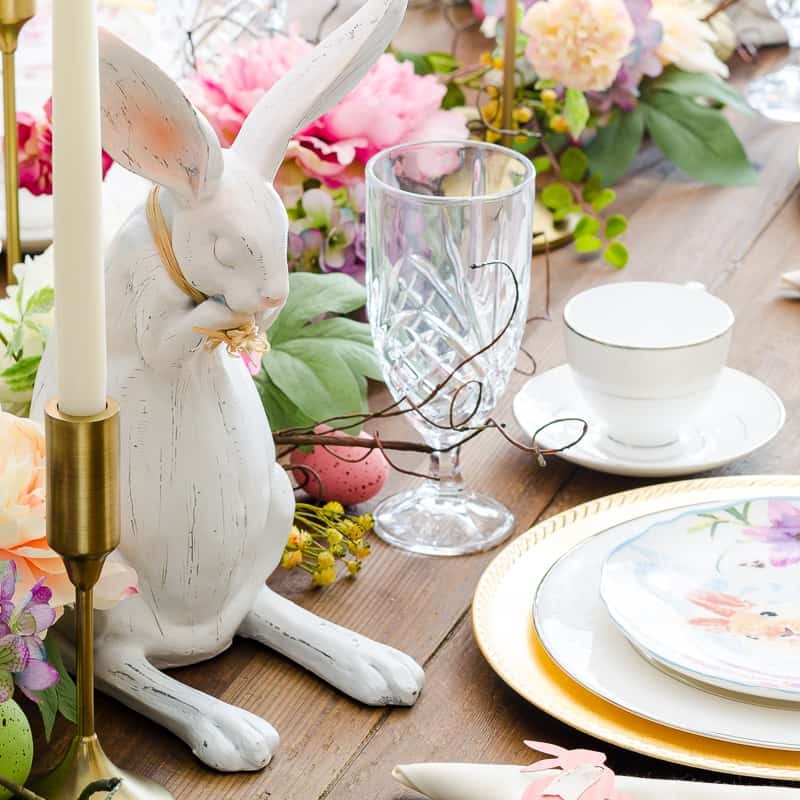 If you’re in the market for some last-minute Easter decor (or want to get a head start on next year), I’ve gathered my best picks below. 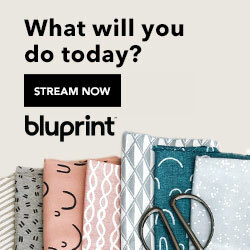 You’ll find plenty of sales happening now, too! I found no shortage of charming bunnies this year. Adding a few birds to the mix also provided some elements I can carry through to late spring. 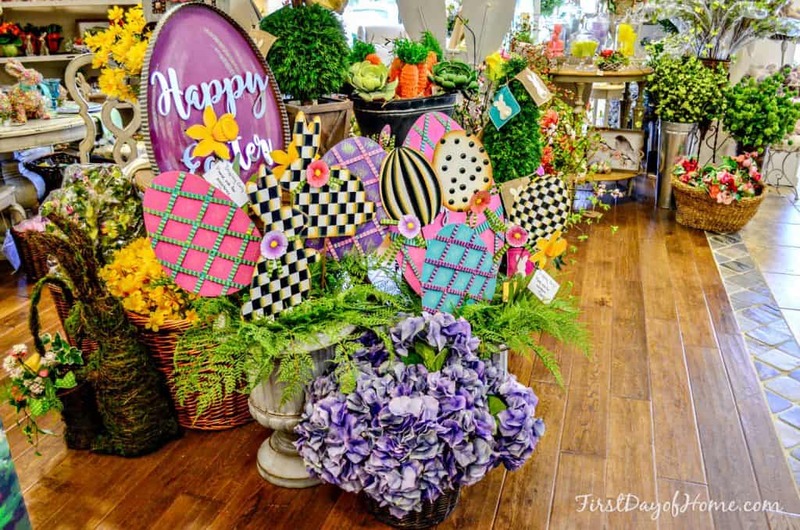 This year, my favorite local boutiques, Picket Fences, Laurie’s and French Courtyard, had lovely Easter displays — see highlights below. 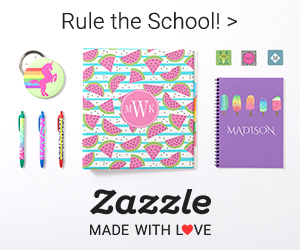 I love supporting small businesses when I can, but I’m also including my Amazon faves for those out of the zip code. 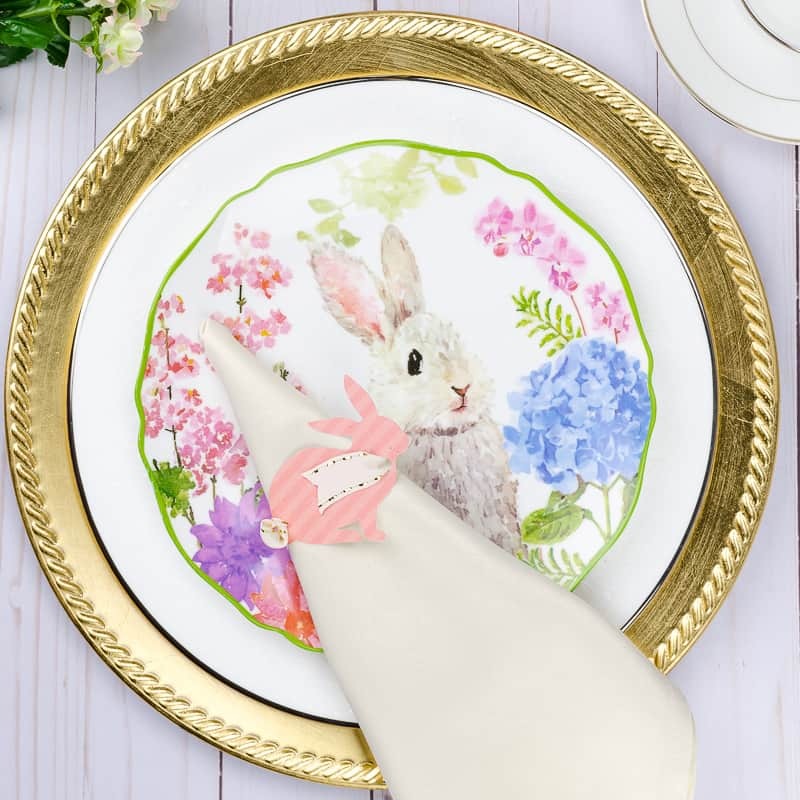 I also decided to incorporate a bunny theme by making some DIY bunny napkin holders for my Easter tablescape this year. 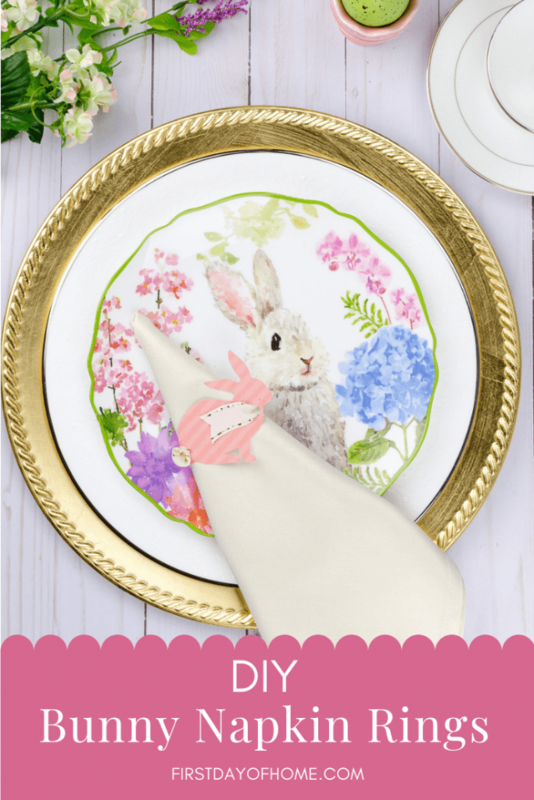 Be sure to check out the post and get your FREE bunny download (JPEG or SVG file format). 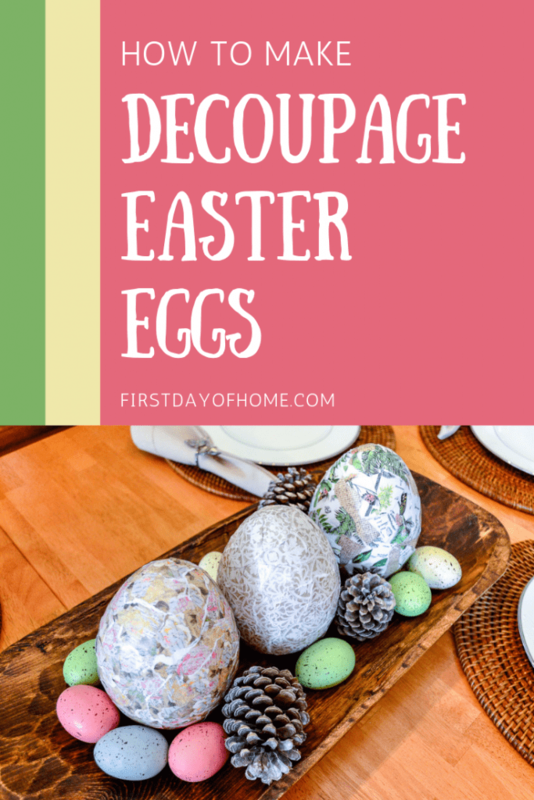 You can’t have Easter without eggs, the symbol of rebirth. 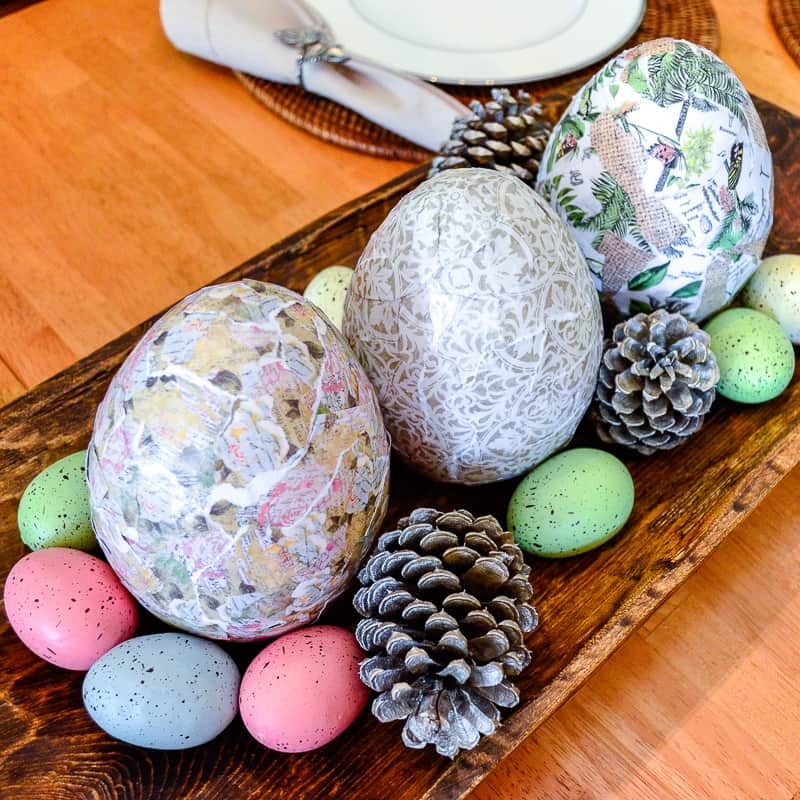 Whether you’re looking for large-scale porch decor or DIY egg crafts, I’ve got you covered. Once the season calms down, my hubby has promised to give me a crash course on the jigsaw so I can design my own giant lawn eggs. Stay tuned for a “first day of woodworking” post! 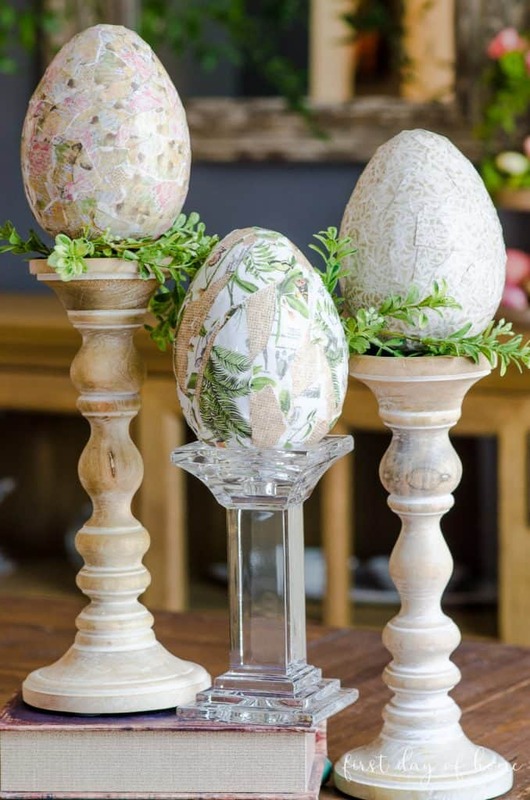 For a beautiful, low-cost option for egg decor, check out my decoupage egg tutorial. 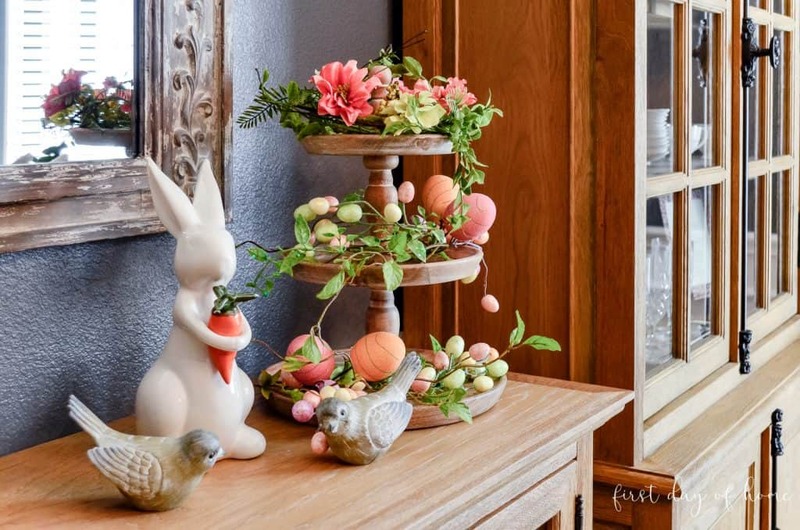 Are you past the Easter decorating window? 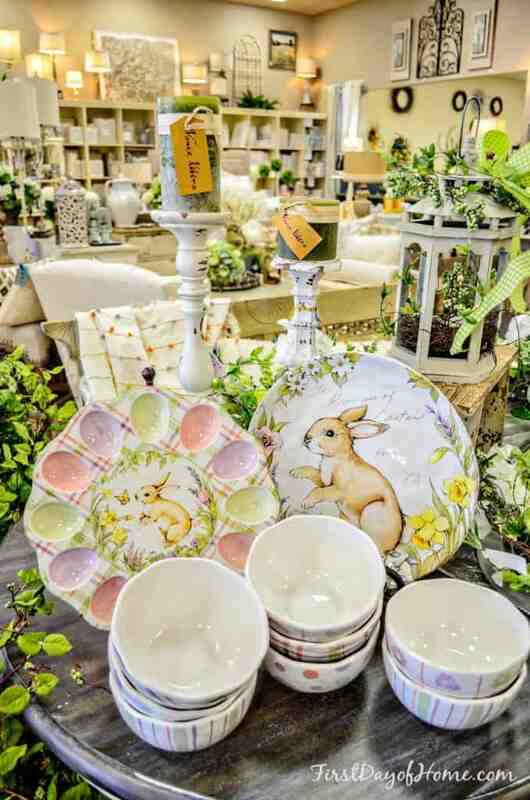 You can still hop into spring decor with floral arrangements, kitchen decor, wreaths and botanical prints. 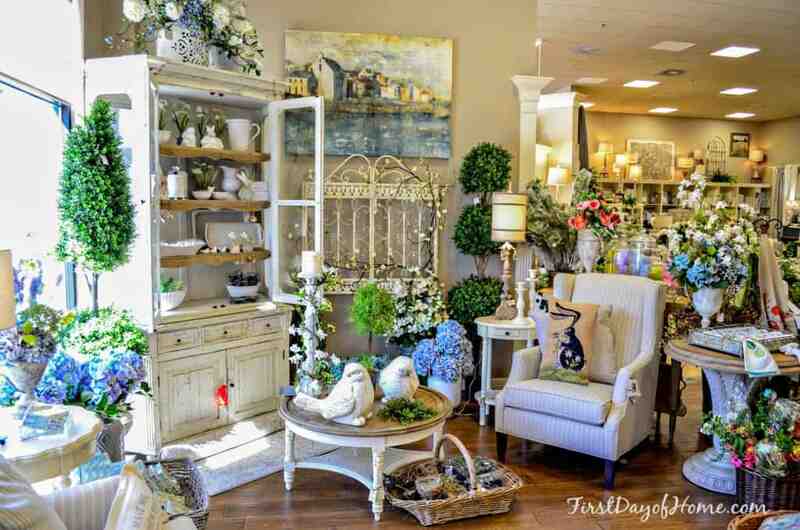 This little room at Picket Fences feels like my happy place. I love the hydrangeas, vines and topiaries interspersed throughout. The owners don’t pay me to give them a shout out. I just admire their talent, especially in floral design. 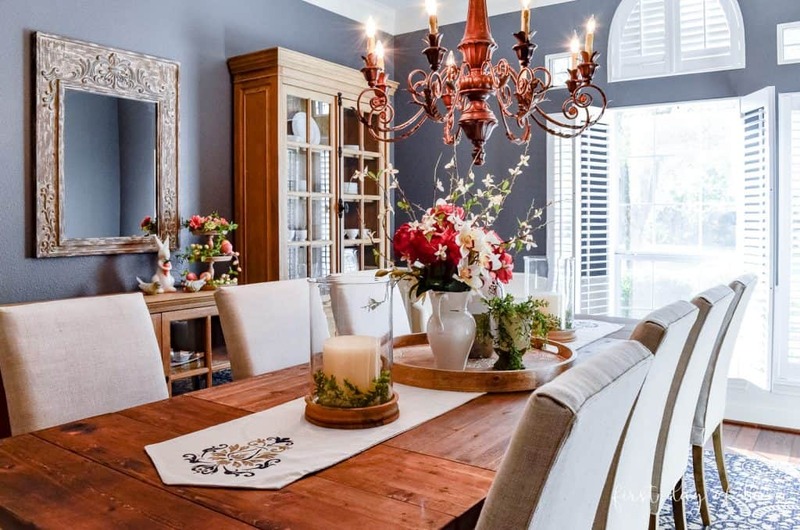 Throughout the spring and summer, I usually keep my own floral arrangement front and center in our dining room. The pitchers and vases make for an interesting arrangement. 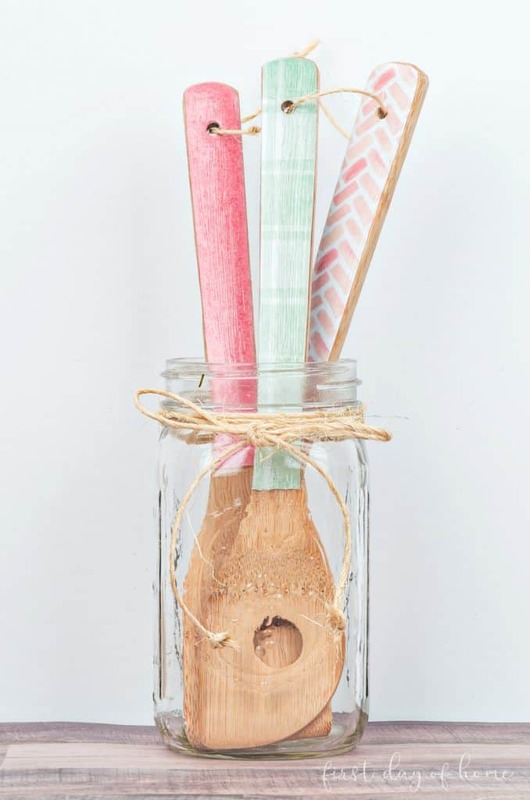 Among my seasonal craft projects, these decoupage wooden spoons took the crown in popularity. 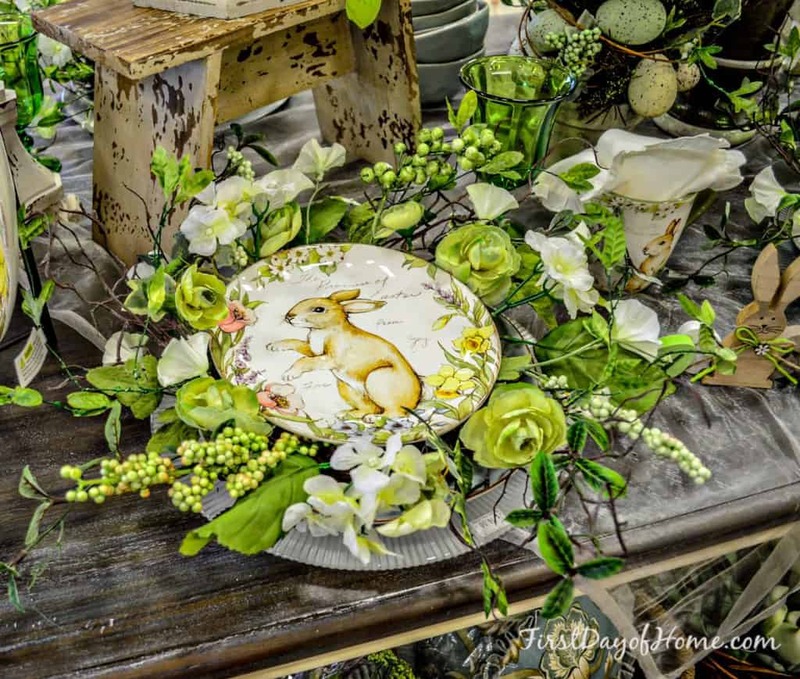 These are perfect, not just for spring, but also for hostess gifts or bridal shower presents. 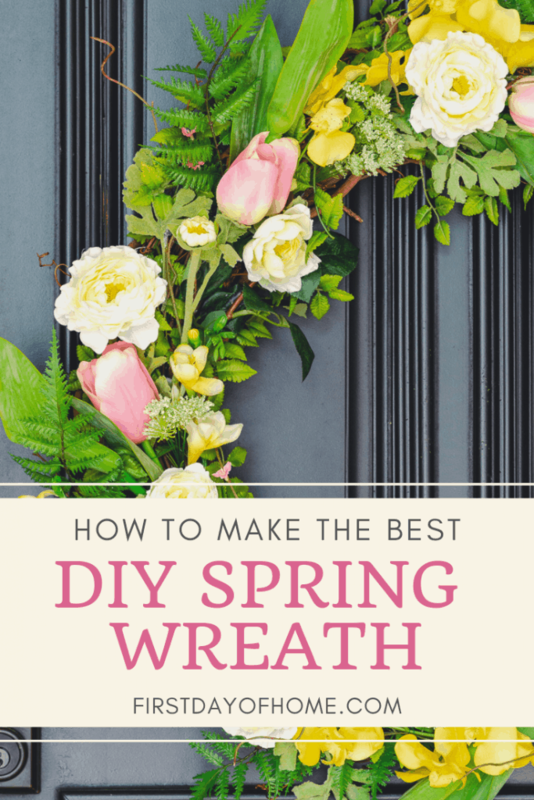 Recently, I wrote a post detailing my spring wreath makeover. Friends, if you have a wreath that’s looking a bit tired, don’t throw it out! Just consider updating it with new flowers. 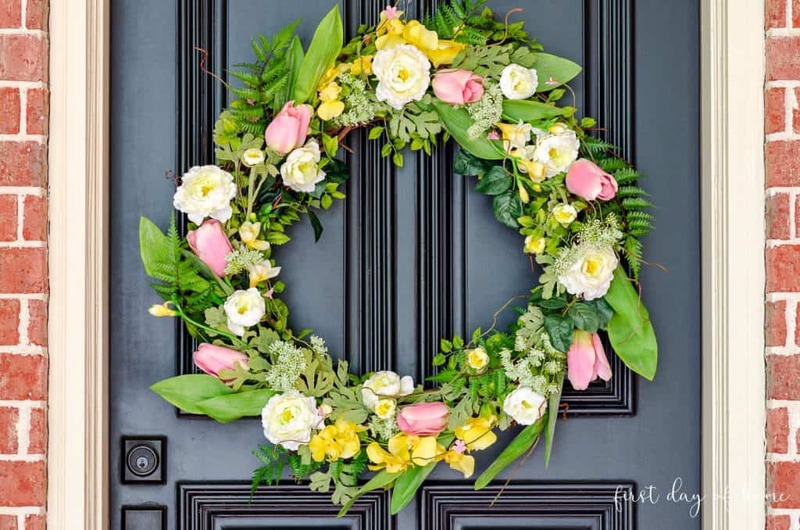 To make it last for years, follow these tips on how to get the best looking spring wreath for a front door. 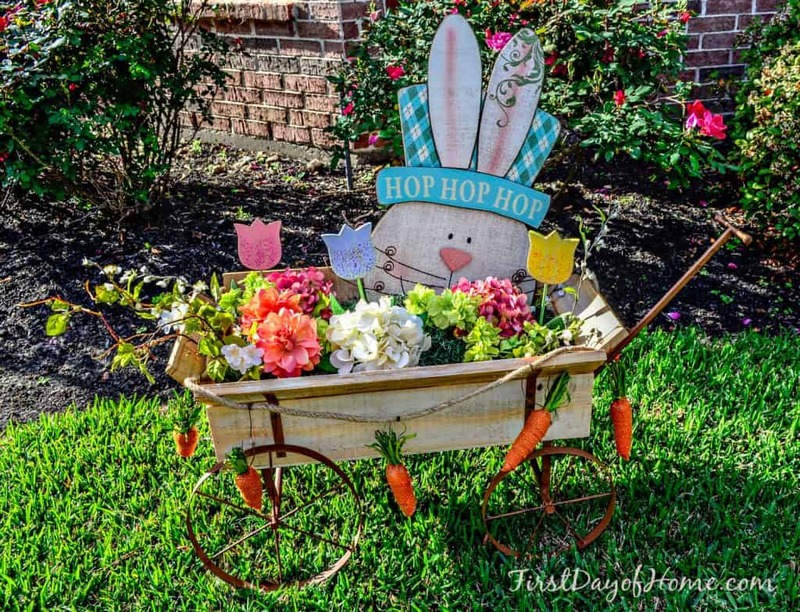 Sometimes you can even repurpose the scraps from an old wreath, as I did for my Easter cart below. Carrot garland has popped up everywhere this year, so I picked some up for this project. To me, spring is like a little invitation to honor and cherish nature. 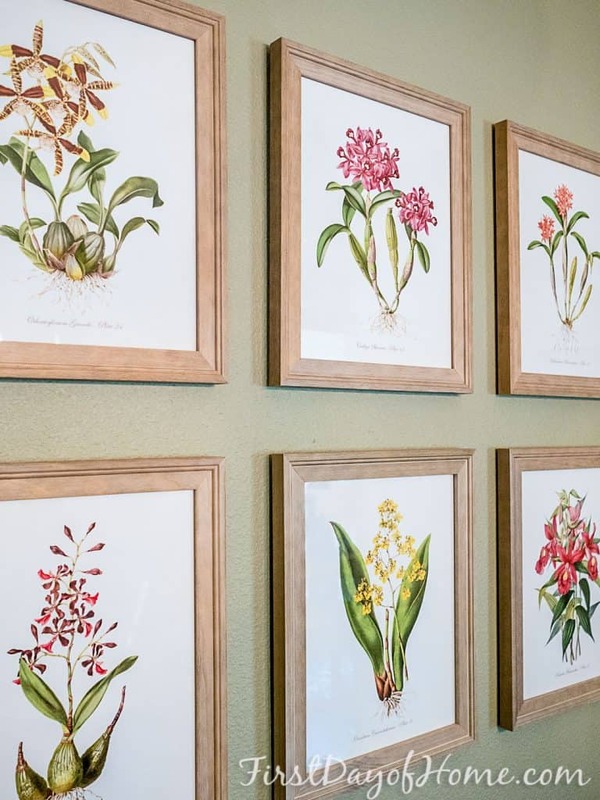 Botanical prints have always caught my eye for that reason. I bought the prints below from BelleMaisonArt on Etsy and framed them myself. The first set turned out so well, I’m in the process of framing my second order from the shop. 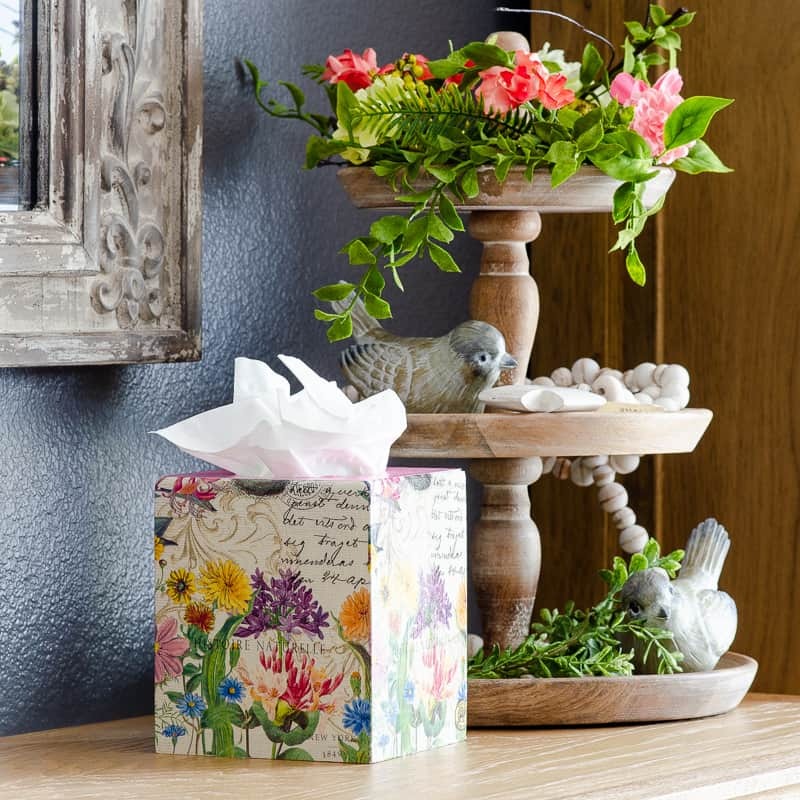 Which spring decorating ideas mean the most to you? 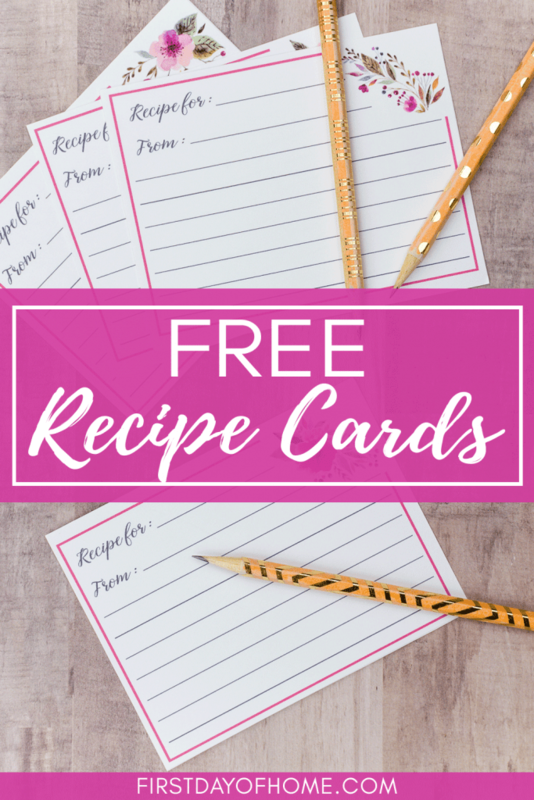 Leave a comment below to share your thoughts. 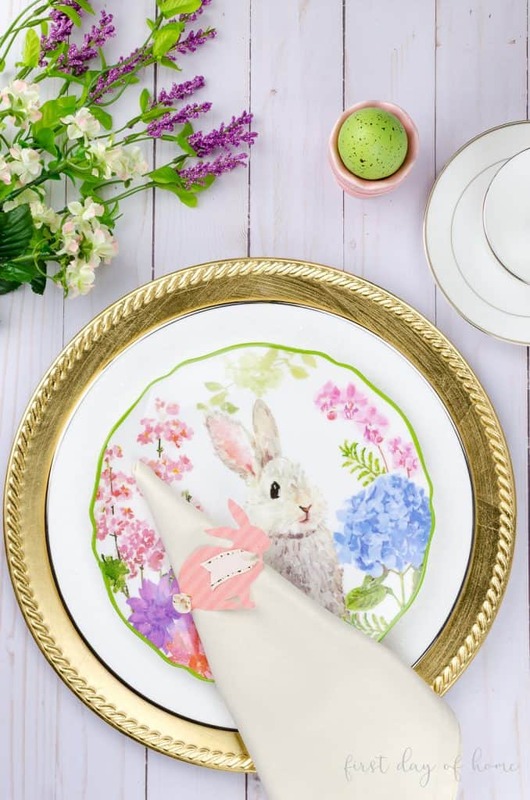 Have a blessed Easter and a happy spring, everyone!